Legacy of Svarog is a 3D Action RPG and Adventure Game hybrid based on Slavic Mythology. Fight enemies, investigate crimes, build your keep from the ground up and make choices with real story changing consequences. The game features multiple playable characters and an in-depth and responsive combat system that rewards patience and planning. Meet characters and deities from the little known stories of the Ancient Slavs. Post news Report RSS	Greenlight complete. On to Kickstarter! We have successfully passed Steam Greenlight much quicker than we ever anticipated. 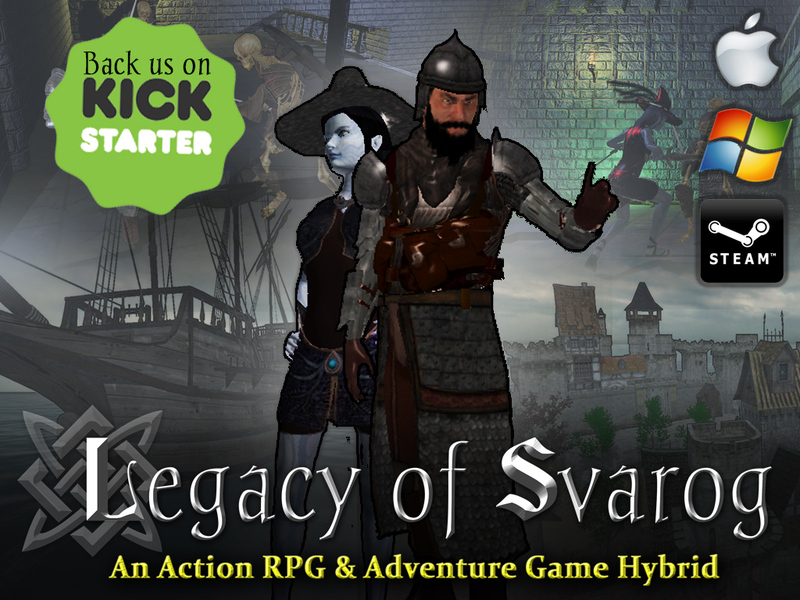 We now continue our journey on Kickstarter where you can get Legacy of Svarog for as little as $10! Thank you everyone for your interest and feedback. Legacy of Svarog has been Greenlit much sooner than we anticipated. We are extremely humbled and pleased at how well the game has been received and we are working very hard to surpass everyone's expectations. We now continue our journey on Kickstarter where you can get Legacy of Svarog for as little as $10! We also have great rewards in store for those who want just a little bit more. Some rewards include an in-game sword that does not dull and in-game armor that does not lose durability. We also have exclusive alpha/beta access levels, exclusive appearance options for animal companions, or we'll even hang your picture up in a secret in-game room accessed by getting extremely drunk. At our highest level, The Keys to the City level, we will model the Mayor of Kazakrom in your likeness. The Mayor is featured prominently throughout the game causing all sorts of trouble (for the greater good.) This is limited to just one backer. Please become a backer on our Kickstarter by clicking here. And help make Legacy of Svarog a reality! Join us and play our new demo! 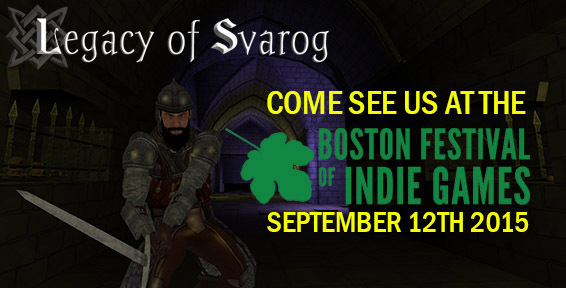 If you are or will be in the Boston area on September 12th please come and visit our booth at The Boston Festival of Indie Games. Meet us and try our our new and demo in person! Our new Demo will have so much to offer. You will be able to try both Vasilisa and Yaroslav in and out of combat, you will be able to explore Kazakrom, get a glimpse of the main story and send your companions out on missions. You may even meet a Slavic god or two, if you know where to look. Won't be able to come to Boston? No Problem! We will make the demo available here the same day as the show! Thanks again for all of your support! We are very excited to move to the next stage of this project. Please back us and follow us! We also love hearing from you.